A Mich. woman says she couldn't transfer Cash App funds to her bank account. She's not alone. 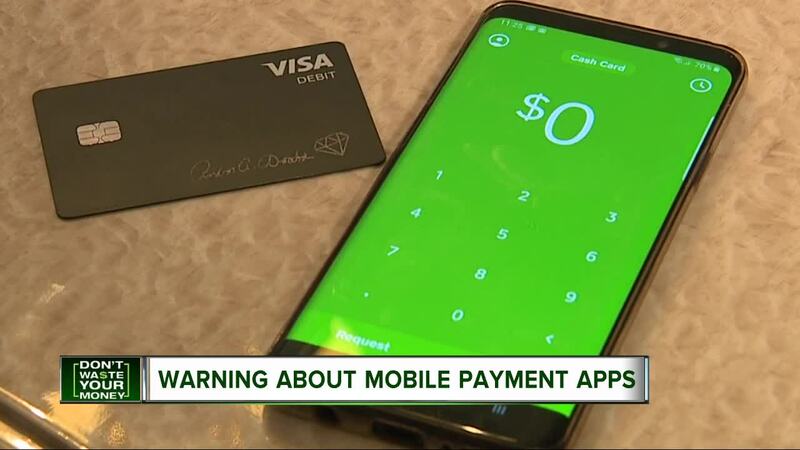 WESTLAND, Mich. — Finance apps like Cash App and Venmo have become a popular way for users to quickly transfer small amounts of money to friends and family. But as the services have to expanded to include debit card services, customers across the country have experience issues in accessing their money. For Amber Woods of Westlansd, Michigan, it was all about convenience. She could quickly transfer funds using a special debit card linked to her Cash App account. "I started using it to pay bills or send money to my mom, my sister," she said. But then, she says she hit a snag. Without explanation, she couldn't transfer her $209 dollars to her bank account — it was stuck inside the app. Cash App does not have a customer service phone number, leaving users to make contact in the app or via e-mail. Woods did reach out several times, but says she ended up with only generic replies. Nationwide, others have faced similar issues. On Twitter, one user tweeted at Cash App's support account complaining that $8,000 was locked in the app. Another Twitter user tweeted at Cash App claiming he was unable to pay his rent because of a tie up. After nearly two weeks, Woods says she finally recouped her funds, but the delay comes as no surprise to the Better Business Bureau (BBB). "Their communication style...is not great," said Melanie Duquesnel of the BBB serving Eastern Michigan. The consumer protection organization has been tracking complaints against Cash App’s parent company Square, nearly 2,000 of them settled in just the last three years. "It just made me mad, what gives you this right to hold onto it," Woods said. Square argues that limited transactions allows the company to screen for risk of fraud. In a statement, Square said it was looking into the matter and added that its "goal is always to provide customers with fast and thoughtful customer support that resolves the issue. Occasionally, as in this case, we fall short of that goal, and we’ll use it as an opportunity to learn and do better in the future." The BBB says Woods' situation is a reminder to pay closer attention to the rules governing the apps that manage money. They recommend always reading the fine print, which could lay out how long money can be delayed during transfers. The BBB also recommeneds reading app reviews — good and band — before creating an account so users know what to expect. The BBB urges anyone that has problems connecting with mobile payment service providers to contact them at BBB.org so they can help mediate or settle an issue.